Discover how the making of Labu Sayong is practised in Kuala Kangsar. The art of Labu Sayong has existed in Kuala Kangsar for centuries, and the district of Sayong still remains the only place you can lay your hands on this water pitcher. Traditionally it is used to store drinks, as its semi-permeable surface keeps the water cool. It is also known for its healing properties. 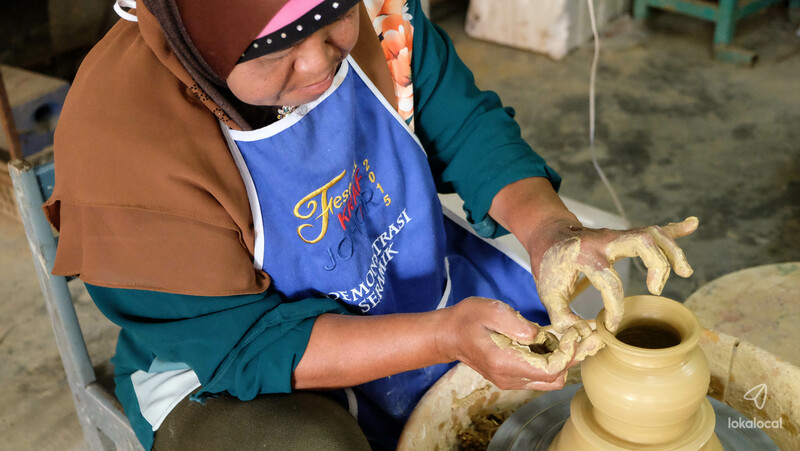 In 2 hours, you can see how the labu sayong is made using clay that can only be found in Kuala Kangsar, then moulded to form various shapes for different uses. You can watch a demonstration of the wheel throwing process, and even have the chance to try it yourself!